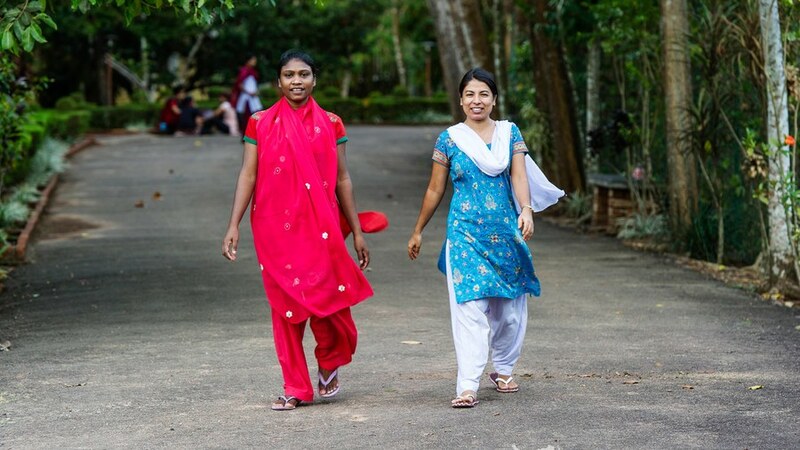 Transforming communities through God's love is the vision of GFA World.For this to become a reality, we realized years ago that more pioneer missionaries would need to be trained to bring God's love to all the unreached people groups of South Asia. 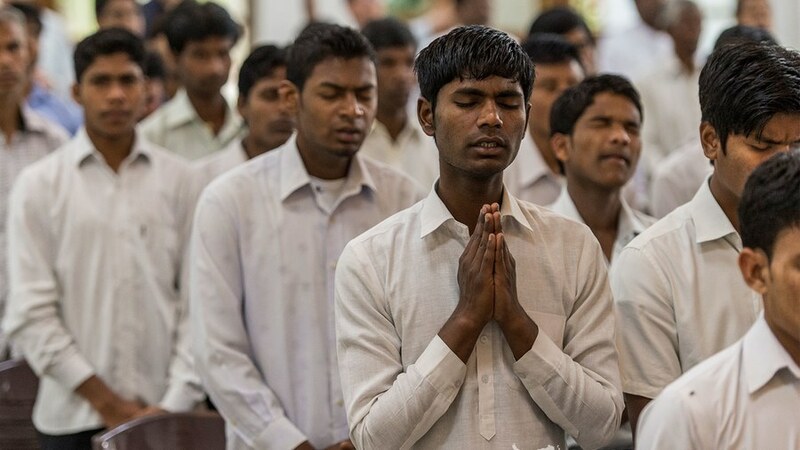 Thousands of young men and women are currently receiving training in Bible colleges in India, Nepal, Bangladesh, Myanmar and Sri Lanka. Each student must have a personal relationship with Jesus Christ. Each student must have a call from God to full-time ministry. Each student must be committed to go to unreached areas. Each student must be able to read and write in his or her mother tongue. Each of the teachers has years of experience establishing fellowships and as evangelists. These committed teachers regularly accompany the students for outreach ministry. Since each Bible college is located right on the mission field, student teams will often start a fellowship and take care of that new fellowship alongside their studies. Ninety-eight percent of these graduates minister in places where the Gospel has never been preached before. Frequently, Bible college graduates will establish a fellowship within their first year in the field. What Can God Do With a Bible College Dropout? A year into seminary, Roshan dropped out and headed home. A year into seminary, Roshan dropped out and headed home. He knew God had called him to ministry, but it didn't seem possible. Years before, Roshan developed a strange illness. He would get dizzy and fall to the ground no matter where he was. His body became weaker, eventually confining him to his bed. His parents brought witch doctors to offer prayers and sacrifices for his healing. The rituals only took money from the family. Roshan didn't get any stronger. Roshan's oldest sister's wedding had depleted the family finances, and with six children to feed, there was little to spare for real medical treatment. The young man was an invalid—indefinitely. A believer named Samir knew about Roshan's situation, so he invited him to church for prayer. When Roshan told his parents, they didn't want to hear it. They feared what their anti-Christian society would think if their son went to church, so Roshan stayed in his bed that day—again. The weeks passed. His body quickly deteriorated, making him look like a skeleton. One night while Roshan laid on his bed, he couldn't stop thinking about something Samir had told him. 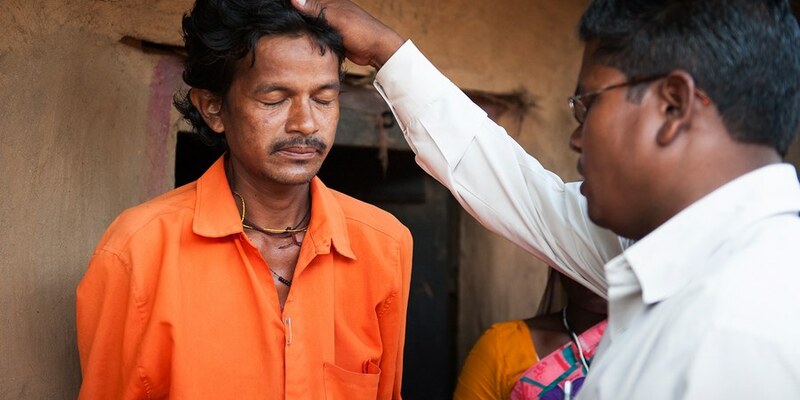 The believer had said, “There is power in the name of Jesus, who can heal all sickness.” What others would say didn't matter—Roshan was desperate. Even if his parents rejected him, he was going to church with Samir. When Sunday came, Roshan mustered up what little strength he had to get out of his bed and walk with Samir to a church in another village. At the end of the service, the pastor called all who were sick to come to the front for prayer. Samir took Roshan by the arm and helped him to the front, where the pastor prayed for him. Immediately, the dizziness left, and the Lord began restoring Roshan to full strength. But it wasn't the answered prayer that moved his heart most—it was the simple act of love from the people. He had never seen love like that before. After experiencing God's love and power, Roshan chose to follow Christ and began going to church with Samir regularly. But as he began walking with the Lord, things at home got worse. His parents insisted he renounce Christ. His older brother even told him to leave the house if he was going to continue believing in Jesus. But none of this opposition shook his faith. And when Roshan's family realized he stood firm, they stopped opposing him. Roshan grew a lot in his walk with the Lord and committed to serve Him as a missionary. Having overcome his debilitating sickness and his family's hostility, he enrolled in a Bible college in South Asia—but there was a problem. All the Bible college courses were taught in English, and Roshan didn't know the language. He struggled through his classes for a year. Still, he couldn't understand the material, so he dropped out. He had no plan, no money and no family supporting him. But God had called him to ministry, and He knew what He was doing. Roshan returned to his village and found that GFA World-supported missionary Tarik Pradhan had begun ministering there. The pastor told him about GFA-supported Bible colleges, which are taught in the language most commonly spoken in that region. This meant Roshan had another opportunity to follow God's call on his life! He enrolled in Bible college and began diligently studying God's Word, this time understanding his teachers. In June 2011, Roshan began his practical internship in his home village with Pastor Tarik. Like Roshan, all GFA-supported Bible college students spend their third year of instruction working alongside a pastor on the field. Roshan began sharing the love of Christ more fervently with his family members, many of whom had fallen sick. As he prayed, the Lord healed them. The same people who had fiercely opposed Roshan's faith have now placed their trust in God, and nearly all of them have joined the church. In just the first four months that Roshan ministered with Pastor Tarik, 11 people put their trust in Jesus, and many others began coming to church. The Bible college dropout-turned-missionary is passionate about his own people understanding Christ's love, and he wants to continue ministering in his village after he graduates this spring. When Roshan becomes a missionary he will have had three years of Bible teaching and practical experience. The campuses, where students spend their first two years, are located on the mission field to provide regular opportunities to share Christ's love and to remind students that their goal is to reach the unreached. Like Roshan, each student spends their third year interning with a GFA World-supported pastor. By the time they graduate, students understand the cost of serving Christ among the most unreached, and they are ready to lay down their lives to see their people find God's love. The Lord has called many other believers in South Asia to share the Good News with their own people. Help them answer His call at a GFA World-supported Bible college. Our goal is that each student gains the vision to take the Good News to the unreached; receives on-the-job training through ongoing outreach ministry and quality instruction in the Word of God; and is fully prepared for pioneer work, hardship, persecution and a life of faith through Jesus. The three-year training course is intensive and the classes are held in the local or tribal language. Apart from their studies, priority is given to personal character building and prayer.